Dust Collectors Bin Vent type either bags or cartridges are designed to vent Silos and Hoppers making efficient processes for collecting materials. 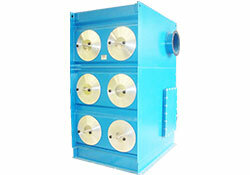 They offer a very accessible system maintenance stripping filters besides its pulse jet cleaning system. When the material is fed into a compartment, the air moves emitting dust with positive air pressure within the space of the container, if the pressure is not compensated moves dust emitted into the atmosphere. 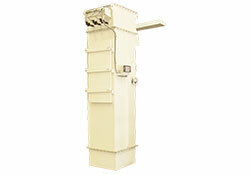 The Bin Vent Dust Collector is based on the fine suspended enter the bottom of this and are returned to the container through the same opening in the bottom. 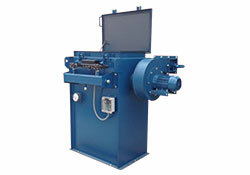 A negative pressure is controlled by a fan, which in turn through the emission filter is controlled clean air environment.